Pregnancy isn’t the only reason for a woman to experience an enlarged uterus, as many other conditions affecting both young and old can cause the condition. A women’s uterus is typically the size of an apple or a pear and has the potential to enlarge to the size of a watermelon during pregnancy. However, uterine enlargement as a result of a medical condition can lead to not only enlargement but also pain and excessive bleeding. There are many reasons for a uterus to be abnormally large, but for the most part, it is not a cause for concern—most conditions are considered benign, only requiring intermittent monitoring. However, an enlarged uterus may signify uterine cancer if no other obvious cause for the enlargement is found. Fibroids: One of the most common causes for an enlarged uterus, fibroids are non-cancerous tumors. They may present as small lumps or growths that can weigh several pounds along the uterine walls and are considered extremely common in women between the ages of thirty and forty. They are so common, in fact, that it is estimated that for every 10 women, eight will experience uterine fibroids by the age of 50. Fibroids are considered more common in African American women and may have hormonal and genetics factors contributing to their growth. Adenomyosis: A diffuse thickening of the uterus that occurs when the endometrium—tissue lining the uterus—moves into the outer muscular wall of the uterus. It is a common problem among older women, especially those who have previously undergone uterine surgery or delivered a child via C-section. PCOS: Polycystic ovarian syndrome is a medical condition that can result in an enlarged uterus. It occurs primarily due to an imbalance of hormones in the body, leading to abnormalities of the menstrual cycle and shedding of the endometrial lining. Some cases prevent this lining from being discarded, leading to uterine inflammation. Endometrial cancer: Typically, this is an affliction occurring in women 50 years and above, and uterine cancer can result in an enlarged uterus. It is often recognized very quickly in the early stages, as it produces frequent abnormal vaginal bleeding, prompting women to see their doctor. Menopause: Due to fluctuating hormone levels later in life, women in their menopausal years may experience enlargement of the uterus. These cases are usually not permanent and go back to an ordinary size once the woman has completed menopause. Ovarian cysts: As the name suggests, this condition involves cysts or fluid-filled sacs found in the ovaries. These structures can result in a number of health problems, including back pain, excessive menstrual bleeding, enlargement, inflammation of the uterus, and difficulty passing urine. Infertility: A complication caused by fibroids and adenomyosis that may also cause an increased rate of miscarriage. It is possible for women with either condition to get carry a pregnancy to term, but they may require medical surgery beforehand. Pelvic pressure or pain: The increased size of the uterus can put pressure on the surrounding tissues and organs. This may also lead to constipation, frequent urination, incontinence, bloating and gas, or pelvic cramps. Abnormal bleeding: Heavy menstrual bleeding is a common occurrence with an enlarged uterus caused by fibroids and adenomyosis. Prolapse: This is a condition whereby the uterus extends through the birth canal and protrudes outside the body. This usually occurs due to the weakening of pelvic floor muscle, of which having had multiple births is a risk factor, but on rare occasions, fibroids may be the cause. An enlarged uterus is typically first noticed by the woman herself, prompting a visit to the doctor. It may also be discovered on a routine examination. But once it has been brought to the attention of your doctor, they will make sure that it is not due to any malignant cause or due to pregnancy. This often requires the use of pregnancy tests or imaging tests such as an ultrasound, CT or MRI to look for any abnormalities in the uterus. 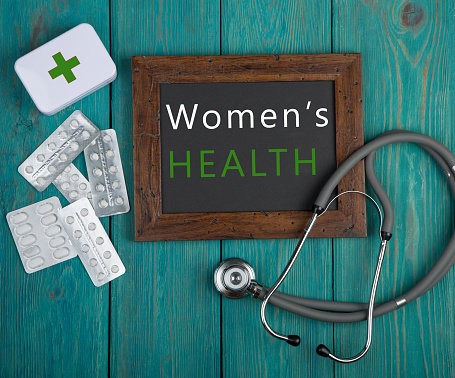 Generally, treatment will depend on the underlying condition causing the enlarged uterus, with conditions such as fibroids possibly only needing monitoring and occasional pain medication to manage symptoms. Adenomyosis can also be managed with pain medication, and the utilization of hormone drugs such as the oral contraceptive pill or vaginal rings can lessen heavy bleeding and pain. Surgery may be considered in severe cases of adenomyosis. Chaste-berry: A herb considered effective in increasing progesterone levels in the body and thought to be effective in reducing fibroid symptoms. It can be made into a tea and consumed. Castor oil: Considered a useful treatment for uterine fibroids in reducing swelling or enlargement of the uterus. It is used by applying warm oil directly onto the abdomen. Flaxseed: Contains a large amount of fiber and omega-3 fatty acids that may help calm down inflammation and swelling. Experiencing symptoms of an enlarged uterus can have a negative impact on a woman’s life and may be the reason you are unable to become pregnant or are having excessive pelvic pain. It is important to see your doctor if you suspect something isn’t quite right in your abdominal area, as a prompt diagnosis will lead to quicker recovery.